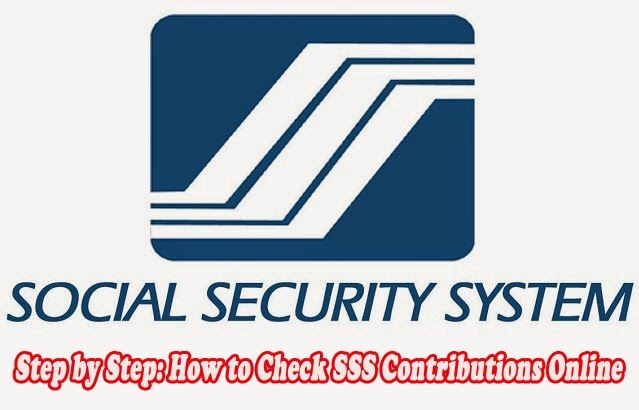 Social Security System website is available to all members but not everyone knows that they can actually check their loan balances, monthly premiums, and monthly contributions including statistic information and employment history. Knowing how to use the online service is convenient as the members don’t have to go personally to an SSS branch to check these information. To be able to see the information and statistic through the SSS Online service, the member should first be registered on the site. To register one must have the latest SSS payment receipt, SSS number, and e-mail address ready together with the personal information. 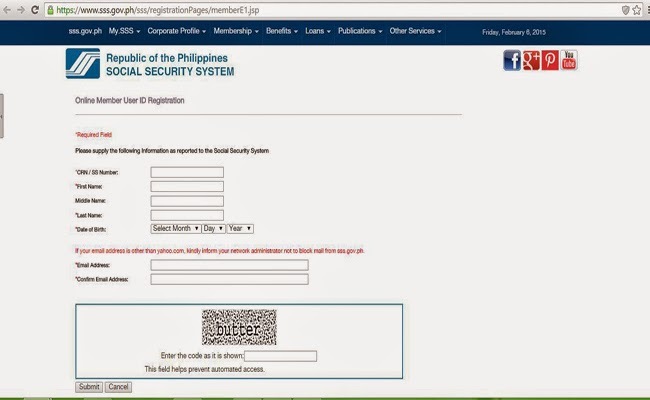 If you are not yet registered go to www.sss.gov.ph then click the button ‘Click Here’. Also make sure that you are registering in the tab for members login. Next, fill in the needed information for Online Member User ID Registration which includes the full name, birthdate and and Email address. Type in the Captcha Code. This is to make sure that the account you are registering is not an automated access. Then click ‘Submit’ after making sure that all the information you typed in are all correct. Click ‘OK’ once the notification appears. Open the e-mail you had provided then click the email from ‘noreply@sss.gov.ph’. Validate your account by clicking the link in the message. Once you open the link, you will be directed to a page requiring more information. 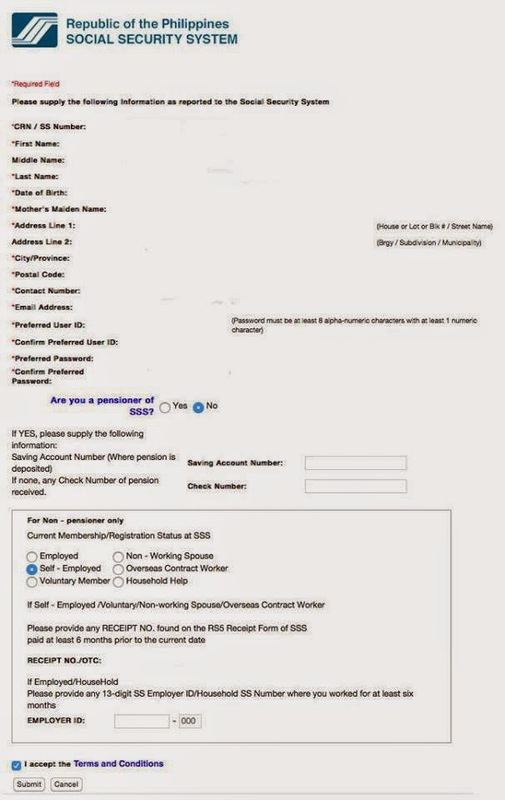 Make sure that all information are correct and those indicated with a red asterisk ( * ) are all filled in. For those who are OFW, employed, Voluntary member and Self-Employed, a receipt of paid contribution of not more than six months is needed. If employed or a household help, the SSS ID number of the employer or the Household SS Number served for at least six months is required. Click ‘Submit’. Check your e-mail to see if you have succeeded in validating your account. 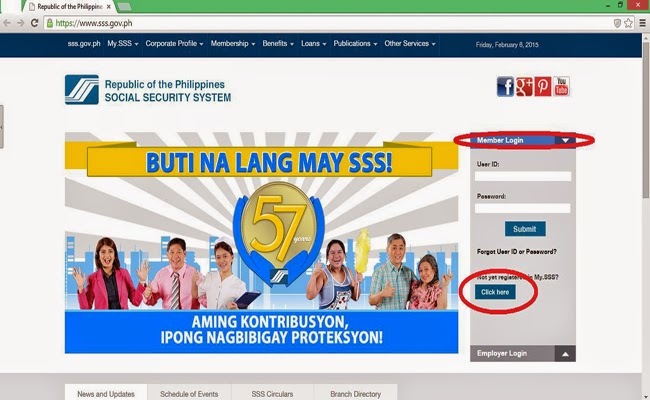 To check the loan balances, monthly premiums, and monthly contributions including statistic information and employment history, go to www.sss.gov.ph and log in with your created User ID and personal Password. You will be directed to your account page. Once finished, remember to log out as SSS information are vital and must be kept personal.